A flower? That grows inside your cup of tea? How can that possibly make sense…? Well at Mama’s Homemade Dumplings it ALL makes sense! 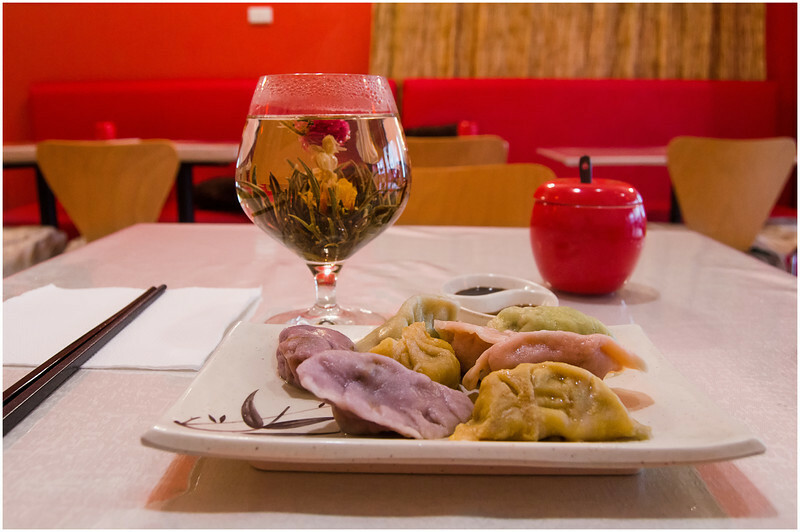 Opening for the first time a couple of weeks ago, Mama’s is Hobart’s newest addition to the dumpling scene. Located on Liverpool Street right in the heart of Hobart’s CBD, this is the perfect little eatery to satisfy your lunch time cravings. While it was the lure of plump dumplings that took me to Mama’s front doorstep, my attention was distracted by an extremely odd photo on the menu that they had placed out the front of the shop. 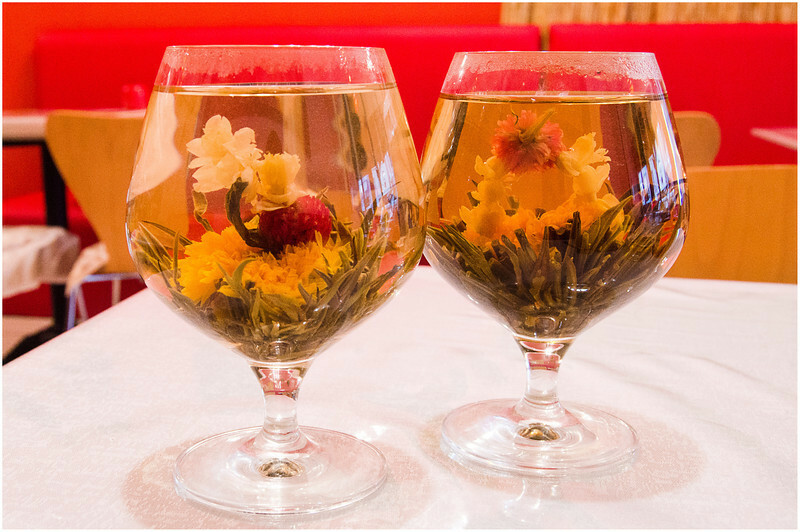 Surely my eyes were deceiving me, but it looked like they were offering a glass of tea, complete with a flower submerged inside the liquid…huh…? This I had to try! Beside the dumplings and tea, the menu on offer at Mama’s is pretty standard fare, ranging from noodle soups to laksas to meat+rice. Prices are also pretty reasonable, ranging between $5 and $15. But enough of this peripheral nonsense! What about the tea?! It was bizarre to say the least! The waitress brought out a large balloon glass filled with very hot water, with what looked like a giant thistle nestled in its base. Just like one of those time lapse photos you see in a garden over a period of days, the ‘thistle’ rapidly expanded, its leaves unfolding to the edges of the glass. At the same time the central, scarlet bulb swelled, tiny white petals pushing out from the stem and a large red flower emerging at the top!! Very, very cool! Picking my jaw up off the floor I was keen to see whether this was all style and no substance! While the aroma was great, unfortunately the water was so hot that I couldn’t attempt even a sip. To be honest it was even difficult just holding the glass in my hand it was that hot! After 5-10 minutes I had a chat with one of the waitresses and she kindly brought around a glass of cold water for me to mix through the tea. I have to say that it was surprisingly good!! I honestly thought it would be a gimmick, but the flavours were subtle, smooth and very enjoyable. The flavour of the fillings was pretty good across the board. The cucumber, chicken and black fungus dumpling in particular was surprisingly delicious! The onion and beef mince was probably my least favourite, but only because its consistency was a little bit too firm and crumbly. The flavours were there, but it just needed little bit more liquid in the mix. Similarly, the dumpling pastry was good, but not amazing. 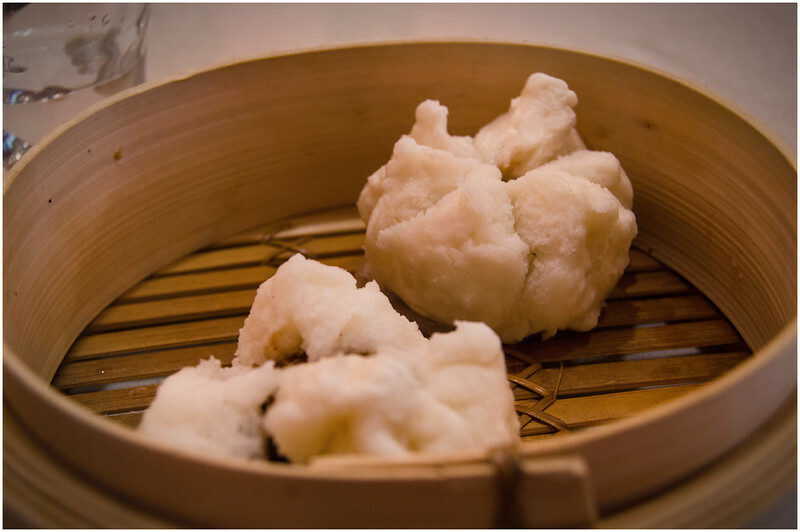 I can’t call myself a dumpling aficionado by any means, so please take take this with a very large grain of salt, but I felt that the dumpling wrapper was just a little bit on the thick side, distracting from the tasty treasure inside the pastry. In their defence though, these wrappers had been made by hand (you could see one of the chefs making them at the front window), so I expect you will get some inconsistencies. Given that it was their first week trading I also imagine that the standard will rise as they become more comfortable in the kitchen. I also ordered a serve of the pork buns. While these weren’t made from scratch, they were still reasonable. The dough was perhaps a little bit hard at the base, but the filling was delicious and at a really good temperature. On finishing my meal I started chatting with one of the wait staff regarding the meal, and in particular the ‘flowering’ tea. Apparently there are quite a few different varieties, and you never know exactly which one you’re going to get until you add the hot water! I did suggest that they may want to reconsider the temperature at which they serve the tea, and the feedback was eagerly absorbed with a smile and a commitment to coming up with a solution. 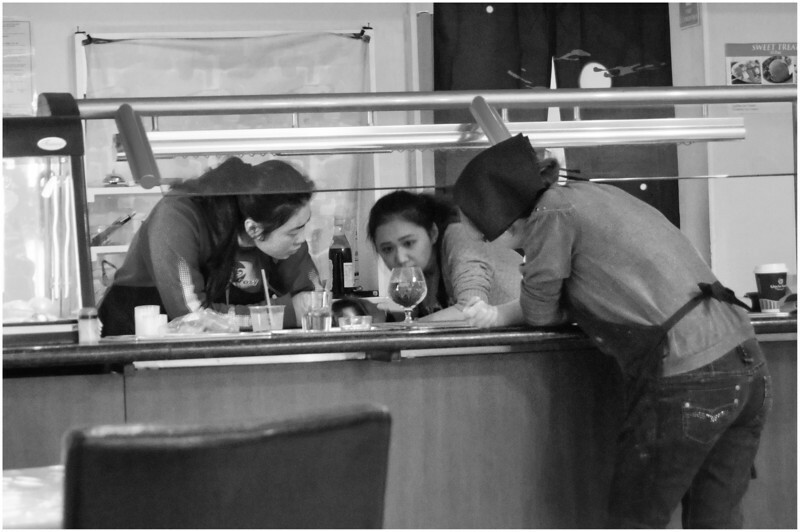 In fact, they were so keen that when I looked up a few minutes later I noticed that the three girls were all hunched over a second glass of the tea, intently scrutinising the water level and temperature! To see whether they had improved on their recipe, they brought the second glass over to me to try. This time they had gotten the temperature just right! And to prove the point on the difference in varieties, this one had a white flower on top. Overall I have to say that I was very impressed with Mama’s Homemade Dumplings. 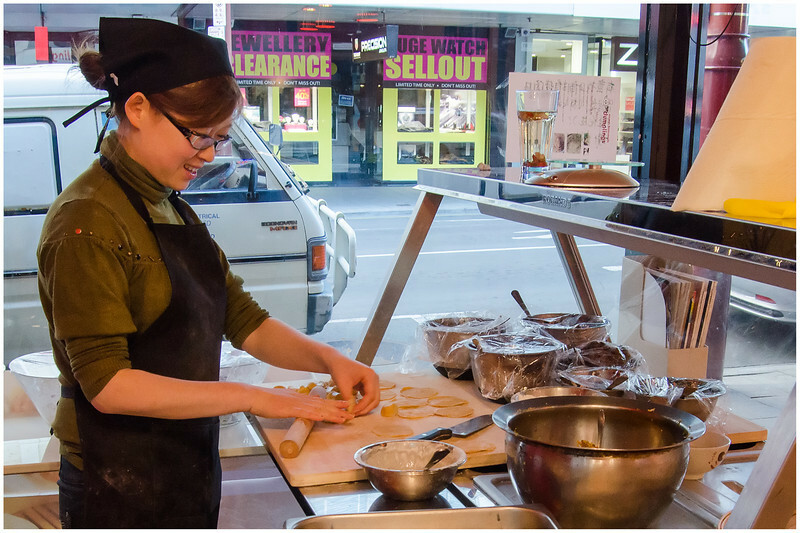 While the consistency and quality can still do with a little work, the signs are there that this place could become one of Hobart’s best options for dumplings. Together with the incredibly open minded and positive attitude shown by the staff, I’m sure this place will go from strength to strength. I’ll definitely be back in a few months time to see how it compares to my first experience! It would be easy to walk past this place on Liverpool Street, thinking that it’s just another Asian cafe, but you’d be wrong. UPDATE, April 2014: As promised, I returned to Mama’s to see how things were faring. I ordered 8 assorted boiled dumplings and each and every one was delicious. The pastry they are creating is leaps and bounds ahead of what they served up in their first couple of weeks of service, and overall the flavours (and textures, which is quite rare in a dumpling) were just incredible. 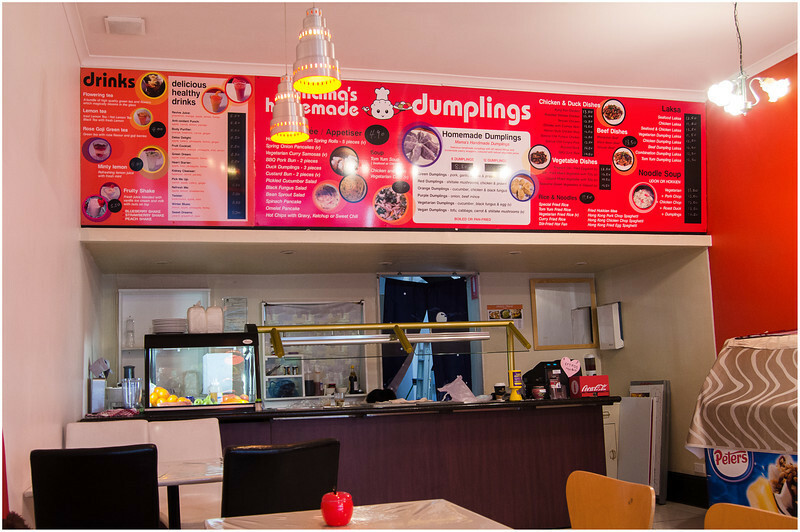 Bearing in mind that I haven’t yet tried the dumplings at Me Wah or The Bund in Shanghai, Mama’s are currently producing the best dumplings in Hobart, beating Castle Zayee, Written on Tea, Dumpling Express and Dumpling World. I’ve updated their score to 4/5 to reflect this improvement. Try them out, you won’t regret it!